DIVISIONS have deepened within the MDC Alliance after the party lost to Zanu-PF in the Cowdray Park council by-election in Bulawayo over the weekend amid fears of a witch-hunt as the opposition party’s president Nelson Chamisa promised to unleash “root and branch” reforms at the forthcoming Congress. Zanu-PF candidate Cde Kidwell Mujuru triumphed over MDC Alliance’s two candidates Alderman Collet Ndlovu who was seeking a third term and Ms Nomagugu Mloyi who came second out of the 18 contestants. Cde Mujuru garnered 1 899 votes while Alderman Ndlovu, who was the party’s official candidate, managed just 221 votes. Ms Mloyi, who was a favourite among opposition members in the ward, garnered 1 229 votes after she went against the party and participated in the election arguing that the primary poll she lost had not been free and fair. 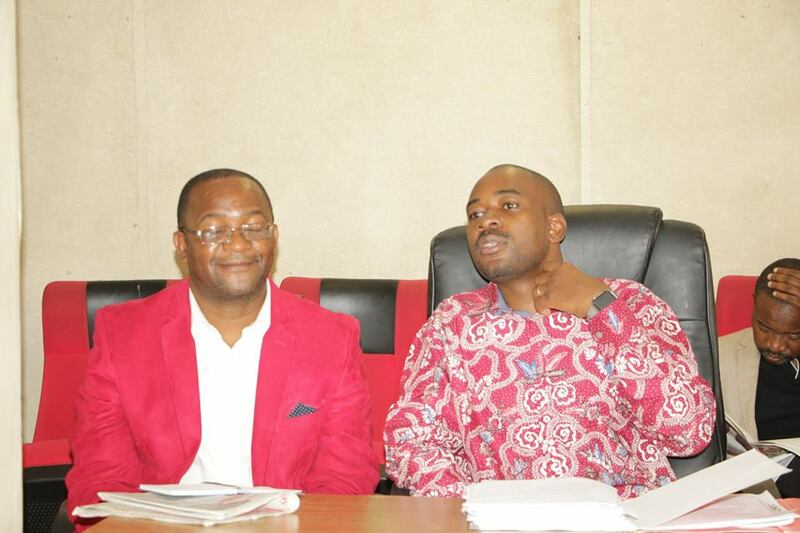 Alderman Ndlovu is allegedly aligned to a faction supporting Secretary General Mr Douglas Mwonzora’s presidential aspirations while Ms Mloyi was a preferred candidate for a rival faction that wants Mr Nelson Chamisa to retain the presidency during the party’s congress set for May 24-26. The party’s vice president Engineer Elias Mudzuri is also allegedly eyeing the top party position. Mr Mwonzora is said to have signed papers for Alderman Ndlovu to represent the party in January, way before primary polls were held. The Alderman later won in disputed primary polls, but the election result apparently confirms that he was not the people’s choice after the woman she beat in the primary poll garnered more votes than him in the council by-election. MDC Alliance sources blamed the senior party officials for the confusion that led to the party fielding two candidates and issuing contradictory statements on the preferred candidate. Mr Chamisa yesterday said some people would be punished after the loss to Zanu-PF. “We are in a difficult transition within. Certain habits must be dropped, forgotten and even punished. A new culture must be birthed. These are some of the birth pains we have to endure. You will smile soon!”, tweeted Mr Chamisa. In leaked messages, MDC Alliance vice president Professor Welshman Ncube fumed over the party’s dismal performance and blamed some officials claiming that they were “clowns elevated beyond their chicken brains”. “Until we vaccinate ourselves from the madness of chicanery and imposing deeply unpopular candidates on factional considerations in brazen violation of rules, we will not get far. As national leadership we couldn’t even go there to assist the candidate because of the nonsense of telling us that our candidate was Collet whom we all knew was intensely hated by residents of Cowdray Park but clowns elevated beyond chickens brains screamed and shouted at everyone who dared tell the truth,” Prof Ncube is said to have said in an MDC Alliance WhatsApp chat group. Contacted for comment yesterday, Prof Ncube professed ignorance over the said chats saying the provincial executive should comment about the Ward election. The opposition party’s Bulawayo provincial chairman, Mr Gift Banda, shifted blame to the national elections directorate saying they were the ones who handled issues to do with the by-election. In an interview, Mr Mwonzora confirmed that he signed nomination papers for Ald Ndlovu saying it was done as an emergency following January protests where public meetings were temporarily banned. He said the party’s national chairperson, Ms Thabitha Khumalo, brought Ald Ndlovu’s nomination papers to him for signing and dismissed claims that factionalism was at play. “There is no strategic value in Ward 28. If you look at it only one person will come from that ward as a delegate to Congress and that is the ward chairman. So I fail to see the logic behind that accusation. To me it was simply an emergency, then we rectified that when the election was then postponed. I then ordered a primary to be done which would include all the other candidates. I have always insisted on primary elections. I don’t believe in imposition of candidates,” Mr Mwonzora said. However, insiders said Ald Ndlovu was being propped up so that he could contest the provincial chairmanship post which is crucial ahead of Congress. Already, jockeying has intensified with power struggles turning violent at the weekend after Mr Chamisa’s supporters allegedly assaulted Mr Mwonzora’s sympathisers in Chitungwiza.